The War of the Cities, also known as the Thirteen Years War was was fought between 1454-1466. The Prussian Confederation and her allies the Crown of the Kingdom of Poland fought against the State of the Teutonic Order. The origins of the war can be traced back to 1440 when the city of Allenstein (known in Polish as Olsztyn) rebelled against Teutonic Knight leadership. This all came to a head in 1454 when all of Prussia sought to gain independence from the Teutonic Knights. Unable to accomplish this alone, Prussia formally requested the aid of Poland. They were so in need they were willing to have their land absorbed into the Kingdom of Poland. Poland's king, Casimir IV, agreed to help, An so began the war. The conflict ended with a victory for Prussia and her Polish allies. This, of course, is a very brief summary. For the full story, click HERE. 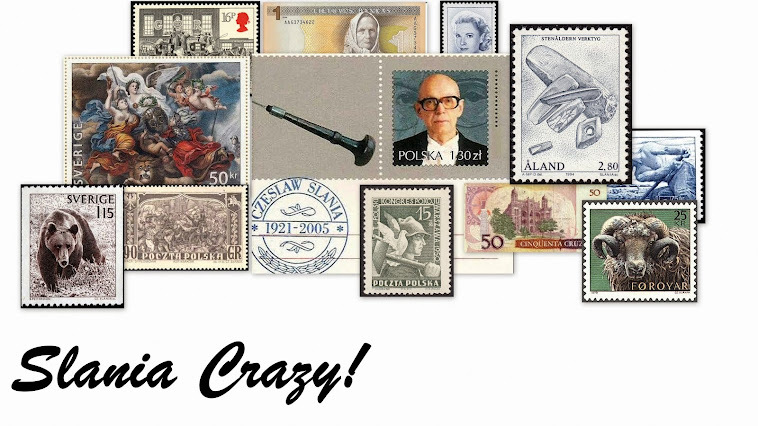 On 16 October 1954, Poland issued a set of five stamps commemorating the 500th anniversary of the return of the region of Pomerania to Poland after the Thirteen Years War. Pomerania is located in northern Europe on the southern shores of the Baltic Sea. 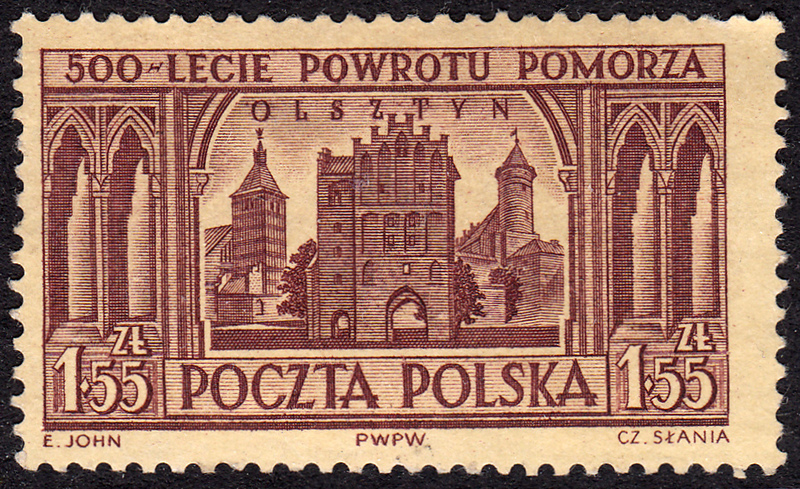 Interestingly, Pomerania was not returned until 1466 at the end of the war, but the stamp was issued in 1954 which, as we know from above, was the year the war began. I'm sure there is a valid reason for this, which my cursory study didn't uncover. The highest value stamp in this set, the 1.55zt stamp, was engraved by Czeslaw Slania. 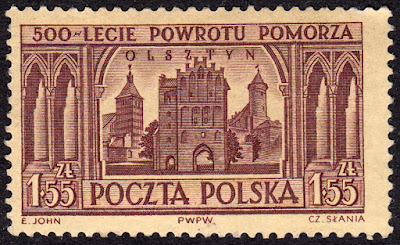 The subject of the stamp is the city of Olsztyn (Allenstein in German), which was the city that rebelled in 1440 as mentioned above. I believe the focus of this stamp is Ordensburg Castle, the construction of which began to 1347. 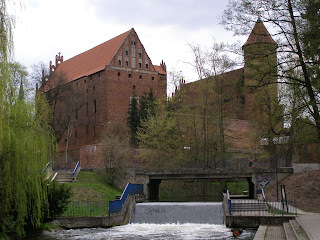 It was built by the Teutonic Knights as a stronghold against the Old Prussians. Below is an image of the castle, which we can use to identify the building on the stamp. The circular tower is easily recognisable from the stamp. If you look to the top left of the building you can just make out stepped decorations that are the same as on the frontage on the top of the central building on the stamp.